Volkswagen Passat Running Costs, MPG, Economy, Reliability, Safety | What Car? 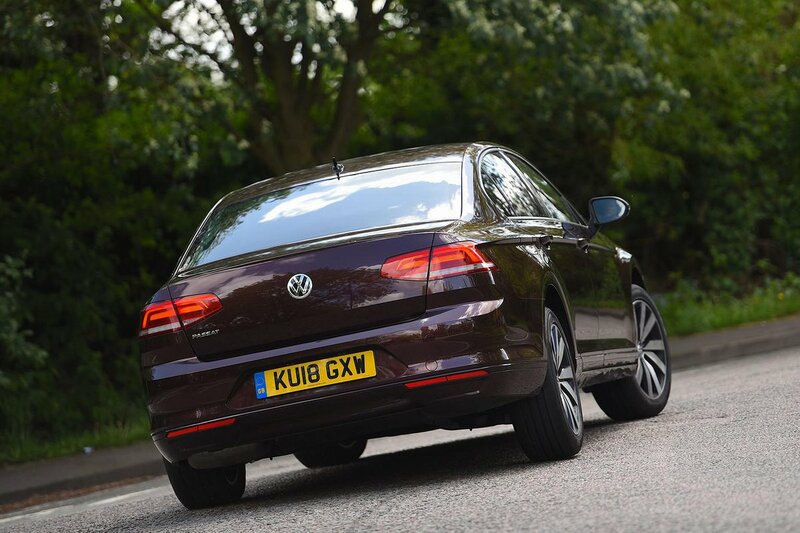 Company car users rejoice; the Passat’s relatively low CO2 emissions help make it one of the cheapest cars in the class for benefit-in-kind tax. The 2.0 TDI 150 is particularly competitive next to its diesel rivals, but even the 1.5 TSI petrol holds its own in the class. Fuel economy is very good across the range, too, especially if you opt for the diesels. The 1.5-litre petrol won't sip fuel quite as gently, closely matching the same sized petrol engine in the Skoda Superb on fuel consumption. However, compared with the Superb or Audi A4, which retain a healthy chunk of their value when it comes time to sell, the Passat’s resale values are a little off the pace. This isn’t great news for private buyers or fleet managers who buy their cars outright, but there are at least some competitive leasing deals out there. Even entry-level S trim provides plenty of gadgets, including the infotainment system mentioned earlier, a leather-trimmed steering wheel, front centre armrest, keyless start plus height and lumbar adjustment on both front seats. Moving up to SE Business adds LED headlights, tinted rear glass, and the previously mentioned upgraded driver’s seat adjustment, as well as adaptive cruise control and infotainment upgrades. The GT-Line adds a panoramic roof and steering-wheel mounted gear shifters (on cars with the DSG automatic gearbox), while R-Line adds bigger wheels and sporty styling upgrades. Both models are a significant step up in price, though, and we wouldn’t bother unless these features are particularly important to you. The Passat didn’t excel in the 2018 What Car? Reliability Survey, appearing in the middle of the executive car league table. That places it below the Audi A3 Saloon and Skoda Superb, but above the Mercedes C-Class, Jaguar XE and Ford Mondeo. Volkswagen as a brand was ranked 17th in our table of 31 manufacturers, which isn’t particularly impressive, either. A three-year/60,000-mile warranty is standard, and extended warranties are available at a reasonable price. 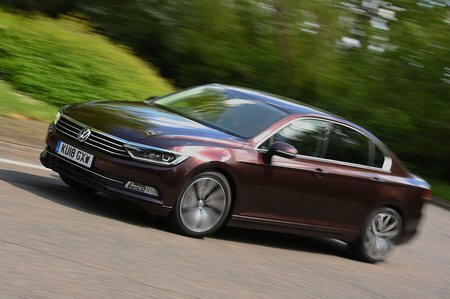 The Passat did well in Euro NCAP tests in 2014 and was given the maximum five stars overall – in today’s more stringent tests, it should still look to secure the full score thanks to heaps of safety kit available. Every version comes with nine airbags, including rear side airbags and one to protect the driver's knees, plus systems that prime the car ahead of an impending accident and help prevent secondary collisions after an initial impact. SE Business versions and above are fitted with an automatic emergency braking (AEB) system to help avoid low-speed shunts. There's a broad array of optional safety systems on top of that, including lane-keeping assistance, blindspot warning and even a system that helps you reverse park when towing a trailer. 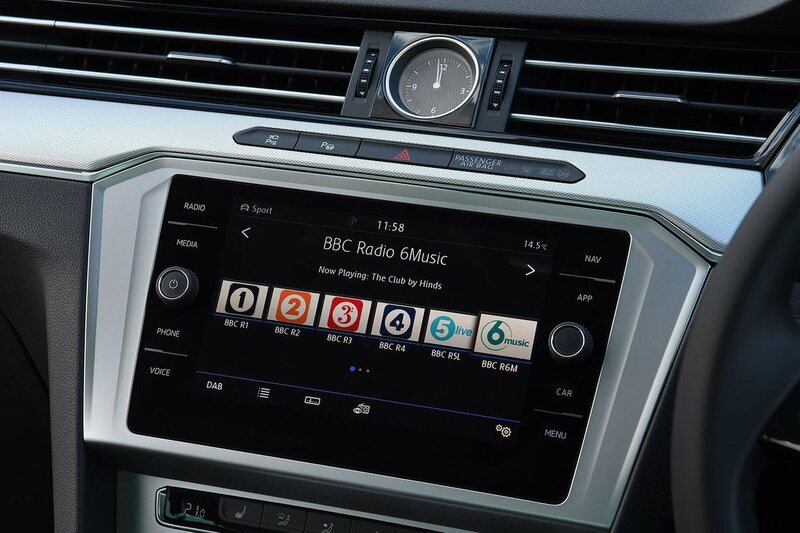 All models get an alarm and an immobiliser, while security experts Thatcham Research awarded the Passat five out of five for resisting theft and four out of five for resisting being broken into.